TULSA, Okla. – Jack Link’s Major League Fishing’s telecast of the 2015 General Tire Summit Cup championship from Waterville, Maine, on CBS Sports, attracted more than 1.1 million viewers according to Nielsen, a ratings measurement system that ranks it as one of the top-performing fishing shows in television history. The February 8 airing ranked second in its time slot among households, as well as in several key demographics. The broadcast trailed only a National Basketball Association game on ABC. Officials at Major League Fishing and Outdoor Channel were delighted, but not especially surprised, with the overall rating. 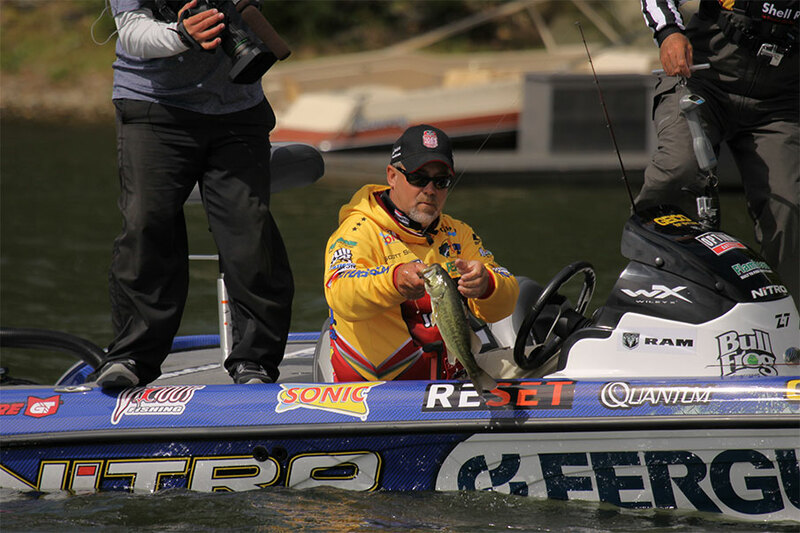 Major League Fishing is an equal partnership between Outdoor Channel and participating anglers. “Attracting more than 1.1 million viewers is both an outstanding accomplishment and another huge step for Major League Fishing. I had a gut feeling we might get more than a million viewers,” said Major League Fishing General Manager Jim Wilburn. The broadcast featured anglers competing during the Summit Cup Championship Round on China Lake, a body of water roughly 10 miles southeast of Waterville. Scott Suggs, a Bryant, Arkansas, angler who competes in Major League Fishing’s Select series and on the Walmart FLW tour, won the event by catching 25 “scorable” bass that weighed 46 pounds, 14 ounces. From its inception, the competing anglers and Outdoor Channel have insisted that their goal is to create a show that attracts viewers that enjoy a variety of competitive sports, as well as traditional fans of outdoor shows. “We want to lift our sport by appealing to sports fans that aren’t necessarily fishing fans. We want to show the drama that the world’s top anglers face when they compete. And the numbers suggest that we’re beginning to attract that broader audience,” Wilburn said. Major League Fishing angler Gary Klein said, “The MLF anglers travel all over the country. And all the anglers I talk with say that most of the questions and comments they hear now are about Major League Fishing. Outdoor Channel is now televising all-new two-hour episodes of Jack Link’s Major League Fishing (Saturdays at 2 p.m. ET, Sundays at 4 p.m. ET and Thursdays at 10 a.m. ET), featuring 30 anglers battling their way through the Shell Rotella Challenge Cup. Companion series Major League Fishing GEICO Selects (Thursdays at 8 p.m. ET, Tuesdays at 8:30 a.m. and 1 p.m. ET, and Sundays at 7 a.m. ET) also returns with the Bass Pro Shops Challenge Select.